Disney’s highest employee award is just one arts-and-crafts project away! We here at Uncle Walt’s Insider love and appreciate Disney cast members and other dedicated theme park employees. As such we especially watch out for cast members who have won the highest award available to them: the Legacy Award, which allows the cast member to wear a special white-on-blue name tag. Imagine our surprise, then, on encountering one such winner who appears to have made his own Legacy Award name tag using a blue magic marker. The Disney Company established the Legacy Award as a special honor for those cast members who best exemplify the spirit of their founder, Walt Disney. Recipients are chosen by their supervisors and coworkers, and are selected for “consistently inspiring others, going out of their way to create happiness for guests and team members, and finding new ways to deliver Disney magic.” It is considered the ultimate achievement for a Disney cast member. An original Legacy Award name tag. In the past, Legacy Award winners have been provided a special name badge, pictured at right. 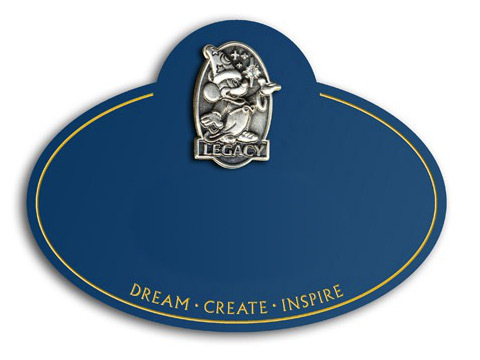 Instead of the usual blue lettering on a white name tag, the name tags are dark blue with the recipient’s name in white, and feature a special Sorcerer Mickey emblem and the words “Dream, Create, Inspire.” Legacy Award winners may wear the name tag for the remainder of their employment with the Disney Company. We first spotted “Steve” on a recent visit to Disneyland Park in Anaheim, California, wearing the iconic blue name badge, as he leaned against a wall chatting with another cast member and looking at his cell phone. We approached him to congratulate him on the award, but he at first did not acknowledge our presence. This was, admittedly, a bit confusing to your correspondent, as Steve did not seem to be upholding the most basic guest service standards for cast members, let alone exemplary service. When Steve finally asked us (brusquely) what we wanted and we mentioned the Legacy Award, he suddenly got quiet, mumbled “thanks” and then said he just remembered he had somewhere to be. That’s when we noticed that the name tag did not seem to be the standard Legacy Award tag. We try to get our pictures taken with Legacy Award recipients, so we had our camera out, but were only able to get the blurry photo above as Steve turned to leave. 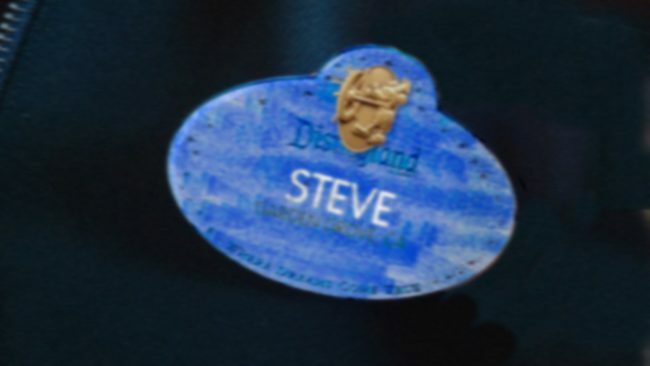 It appears that Steve had colored in a standard white name badge with a blue magic marker, and then highlighted his own name with Liquid Paper. 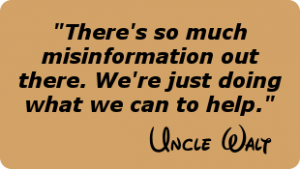 Obviously, we at Uncle Walt’s Insider realize the need for the Disney Company to maximize profits. But frankly, we are appalled that the company would cut corners in recognizing its most valuable cast members. Requiring Legacy Award winners to make their own name tags is a pretty cheap and tacky thing to do. 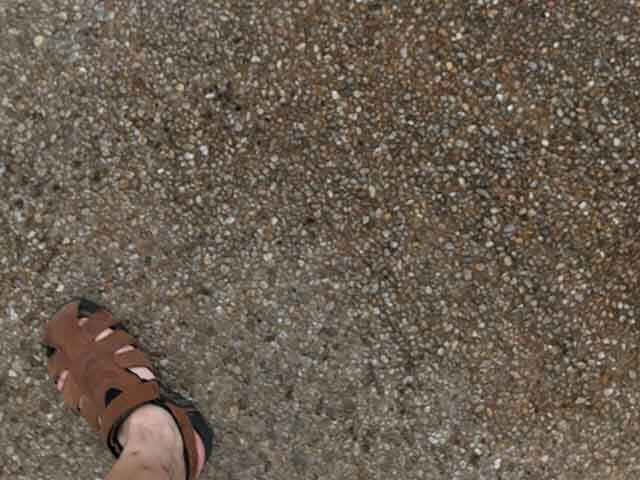 Photo credit: Cory Doctorow via Flikr, Creative Commons Attribution-ShareAlike 2.0 Generic (CC BY-SA 2.0), modified.